Saikawa said the electrification strategy probably will have one exception -- the company's full-size body-on-frame QX80 SUV. DETROIT -- Nissan Motor Co.'s premium Infiniti brand will almost entirely comprise electrified vehicles after 2021, Nissan CEO Hiroto Saikawa said. All new Infiniti models launched after 2021 will either be all-electric vehicles or will rely on the parent company's new range-extending electric motor-powered technology called ePower, Saikawa told an audience at the Automotive News World Congress on Tuesday afternoon. EPower is an unusual type of electrified-vehicle system. It is not a plug-in technology. And unlike Toyota's Prius, it uses its gasoline motor to recharge the battery, but not for propulsion. 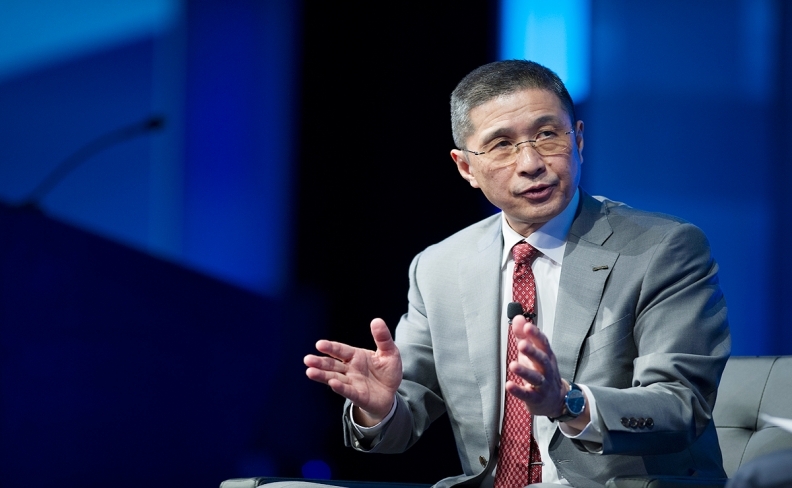 Saikawa predicted that half of Infiniti's sales by 2025 will be EVs or ePower vehicles. Infiniti was one of the first luxury brands to propose an EV. In 2012, the company unveiled the Infiniti LE concept at the New York auto show -- a model that would have been an upgraded variation of the Nissan Leaf. But that plan was canceled as Infiniti reconsidered its global product portfolio. Saikawa said that the electrification strategy probably will have one exception -- the company's full-size body-on-frame QX80 SUV. However, the Q Inspiration was described as running on Infiniti's advanced new four-cylinder variable-compression engine, the VC Turbo. Nissan introduced ePower in Japan in late 2016 as an alternative powertrain in its Note, a hatchback version of the subcompact Versa. The technology uses a battery-powered electric motor to drive the car's wheels, and a gasoline engine to charge the battery.